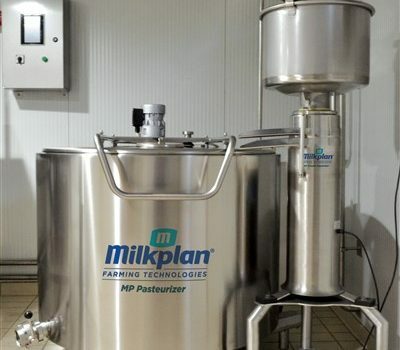 COMPLETE ICE CREAM PLANT FOR SALE! 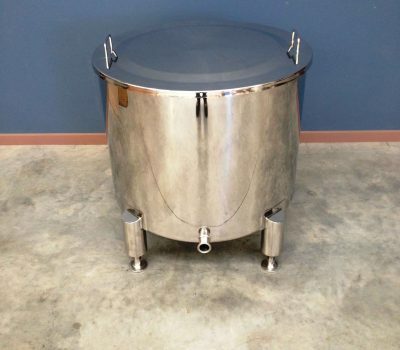 Stainless Steel Tanks – New & Second hand. 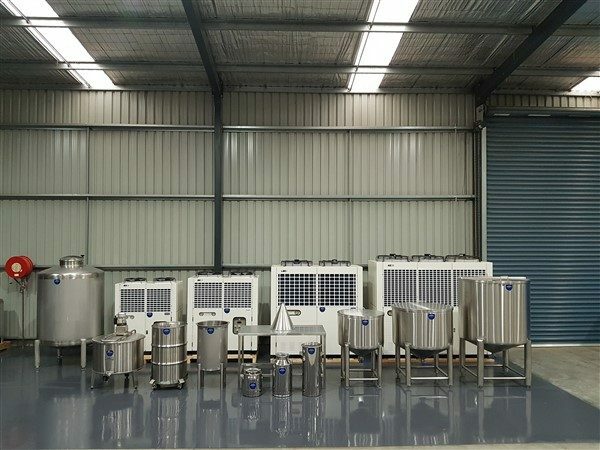 Single skin, insulated, jacketed, vertical or horizontal configurations, sizes from 10 – 100,000 litre, all grades of stainless steel available. 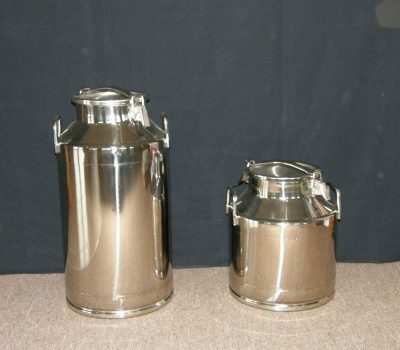 Batch pasteurisers in sizes from 50 litre up to 500 litre. 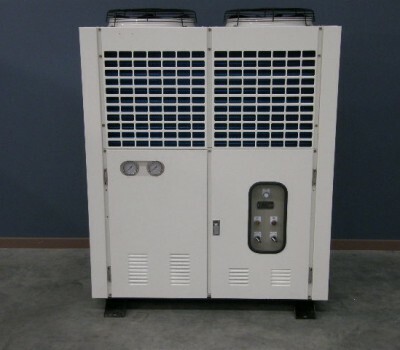 Heating & Cooling Systems – State of the art fluid chillers and air cooled water chillers in sizes from 7 – 217kw (larger chillers on request). We also sell food grade glycol. Water heaters and temperature control systems to suit temperatures up to 350ºC. Metal fabrication services available for welding and customising fittings, connections and tanks to food grade standards. Wash (CIP) Systems – Fully automatic recirculating wash systems to suit stainless steel tanks of all sizes. Heat Recovery Systems – Get “free” hot water from your waste heat; can be installed on most refrigeration systems including cool rooms, milk vat DX units and chillers. 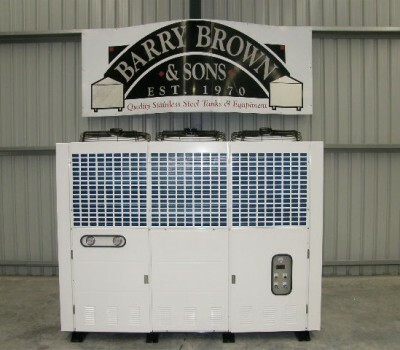 New chillers in stock, ranging in size from 7kw up to 217kw. We also sell food grade glycol. 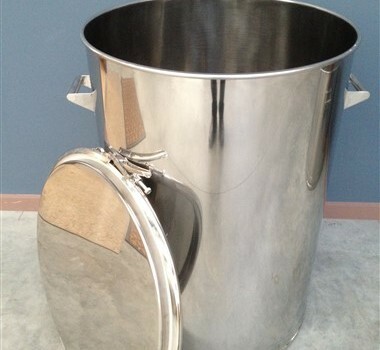 Search through our huge range of Stainless Steel tanks and accessories.